Photo taken when I got home-phone was getting wet! Visited Ventura CA, Seaward beach, first weekend in April 2017. 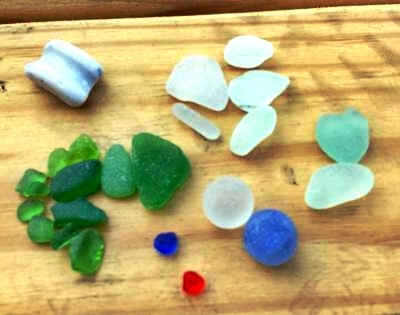 Since this was my first real beach glass hunt/trip, I felt pretty satisfied! For myself, I like to get down by the water, so I'm not going to have my phone on me. I'd prefer a camera that can get wet.